Washington said Mr Trump saw India as a “true friend and partner in addressing challenges around the world”, reports BBC. “The two discussed opportunities to strengthen the partnership between the US and India in broad areas such as the economy and defence,” it said. The White House said it looked forward to welcoming Mr Modi later this year. 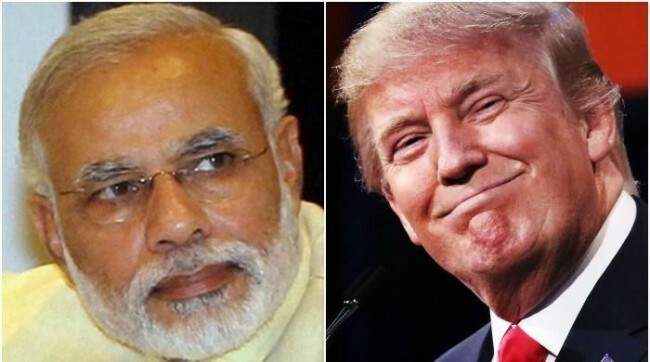 During his campaign, Trump praised Modi as a “great leader” and sought a kinship of ideas with him as a “pro-growth leader”. The call to Modi so soon after Trump’s inauguration is itself a sign of India’s importance to Trump. So far, Trump has spoken only with the neighbors — Canadian Prime Minister Justin Trudeau, Mexican President Pena Nieto and Israeli Prime Minister Benjamin Netanyahu and Egyptian President Abdel Fattah el-Sisi, who will have a major role in helping Trump deal with the Middle East and with terrorism. The call took place shortly after the Senate Foreign Relations Committee cleared the first phase of the appointment process for Nikkai Haley to become the US ambassdor to the United Nations. When appointed, she would be the first Indian-American to hold a cabinet-level post in the US. President Pranab Mukherjee has invited Trump to visit India. Trump has made business trips to India before. Among issues of concern to India are exports to the US and the flow of technically qualified people there through H1-B visas to buoy the Indian technology companies there. However, India is likely to face problems in these areas. Earlier in the day, Trump met auto industry leaders to to promote his programme of “Make in America”. On Monday, he met union and industry leaders and emphasised his campaign mantra of “Buy American, Hire American”. India and the US share a common worry about Islamic radicalism. Trump has also been critical of China over its trade and regional policies.